Home > Special Offers > Service & Parts > Save on Remote Starters! 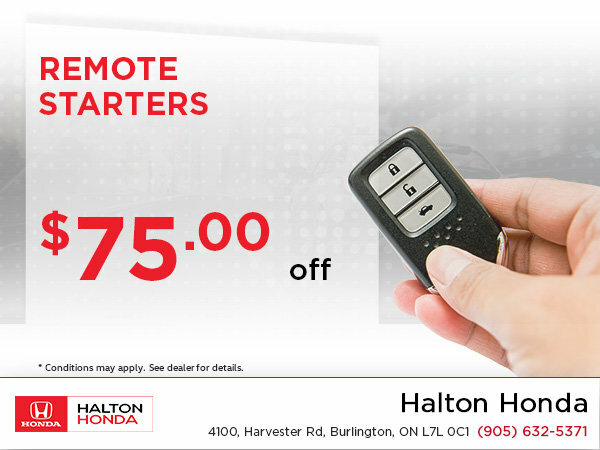 Visit us at Halton Honda to save on your remote starter! Get a $75 off when you buy one! Hurry before there's none left in stock!